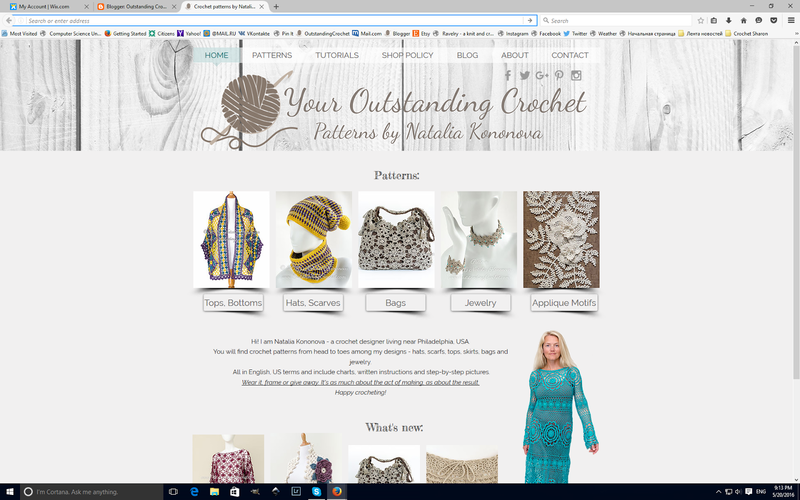 Outstanding Crochet: I moved my domain outstandingcrochet.com to another host. Please, visit and stay in touch! I moved my domain outstandingcrochet.com to another host. Please, visit and stay in touch! I created a new website and moved my domain. I have a shop there as well as a blog. I will maintain this blog for a while, but eventually I will be posting only in my blog at outstandingcrochet.com. Please, visit and stay in touch! I already walked around! Congratulations! Very cute your website! Thank you so much! :))) Means a lot! I chose to make it look familiar with similar design.